Historical and prestigious temples/shrines are the main sightseeing destinations in Kyoto. 17 of them are designated as World Heritage Sites. Although visiting as many spots as possible is ideal, most of them close at 16:00 – 17:00 (and usually visiting 30 minutes before closing time is required). So, even waking up early and trying to visit these spots in the most efficient way, it may not be possible to see more than 4 places a day. 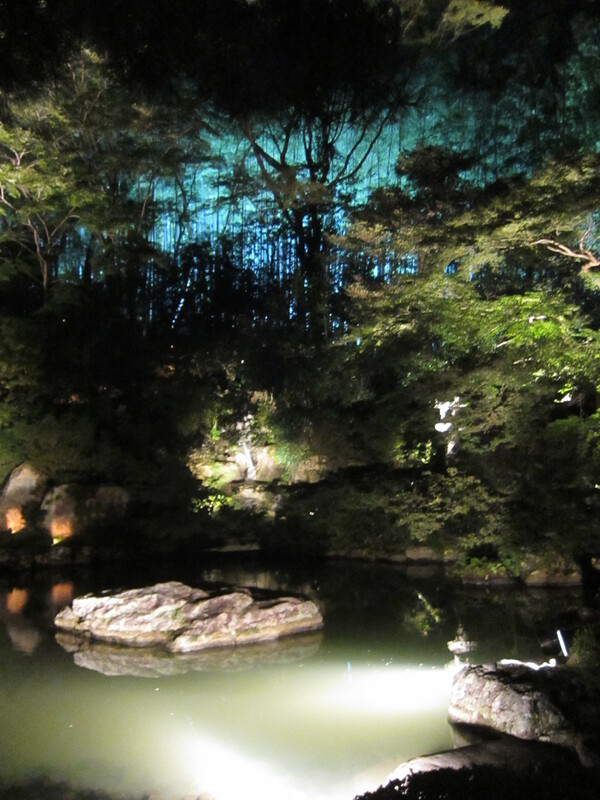 Fortunately, several temples/shrines host illumination events for limited time periods. Summer and fall are the most popular periods for this type of event. So if interested in seeing historical buildings such as temples and shrines under colorful lights, be sure to check the following calender. NOTE: Although the following data reflects the latest information, they might change slightly year by year. So before visiting, please check the event websites. Maruyama Park 3/26 – 4/15 (2018) Sunset-1:00 a.m.
Hirano Shrine Sunset-22:00 Note that illumination period changes every year depending on the cherry blossoms. Kibune Shrine 7/1 – 8/15 (2017) Sunset-20:00 (21:00 on weekends and National holidays) Note that the bus finishes on 17:10. So taking a taxi or walking to the shrine from Kibuneguchi station is required (2 km). Arashiyama Area including Nisonin Temple, Jojakkoji Temple, Rakushisha, Nonomiya Shrine, Tenryuji Temple, and Togetsukyo Bridge will be illuminated.